Curing Roe Ontario, Canada, Style! This year’s charter season has kept me busy out in the blue zone almost every single day, which has made for less time spent fishing for early season Chinook salmon on the piers and in tributaries throughout Southwestern Ontario. As much as I love hardware chucking, trolling, and watching people catch trout and salmon in the lake, I get more excitement catching them from shore once they begin staging for their migration up Great Lakes tributaries. Long rods, floats, light line, and fresh roe have always been my favourite way to target Great Lakes trout and salmon. It is a great change in pace after spending many hours trolling and hardware chucking off the piers for fish that stage early. The best time to fish using roe is when the river temperatures start dropping and the fish start to porpoise, showing themselves in good numbers in many harbours and estuaries. Water temperature plays an important role when it comes to having a good bite when using roe or chunks of skein. If the water temperature is too warm, you will spend a good chunk of your time re-baiting your hook because of all the minnows nibbling at your offering. Look for cool nights and north winds when fishing Lake Ontario’s north shore. 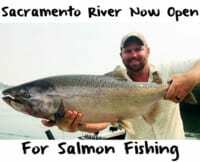 Float fishing with roe is a very addictive and effective way to catch staging trout and salmon early in the fall. Having fresh, cured roe is crucial when it comes to targeting staging trout and salmon in the lower stretches of our tributaries. Well cured, loose roe or skein is vibrant, and has a solid, yet soft texture, which makes tying roe bags much easier, and lasts many casts. 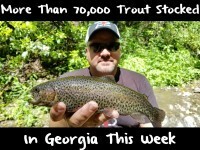 It is the difference between bringing in a handful of fish and doing double-digit days on the water. Not only do cured baits have longer life in the water you fish, but it also has longer shelf life, especially when you do not want to freeze your roe. The roe curing process can take space, become time consuming and messy at times, but it is all worth it in the end. To end with a good egg, you must start with a good egg, just like the Pautzke label says! In order to have well cured roe or skein, you must have freshly harvested roe. Eggs that were frozen will not cure nearly as well as fresh roe will! A harvested fish should be bled out instantaneously to prevent any blood from seeping into the loose roe or skein. I like to take the eggs out of the fish as soon as possible to prevent any river water from getting into the eggs. If you are out on distant fishing trips, keep the roe on ice in a cooler to prevent the eggs from spoiling. Also, keep any objects away from crushing your freshly harvested roe so you don’t come home disappointed! When I get home I like to quickly set up a curing station. If I am tying roe bags and I only brought home tight skeins, I scrape the roe off the membrane, one by one if possible, using a spoon right into a surface with three-ply paper towel. I usually put a good chunk of my skein that I am not tying into roe bags aside to cure for early in the fall for Salmon fishing with globs of skein. Once all of the roe is scraped onto the paper towel surface, I spread the eggs out so that they are singled out next to each other. Now that I have got all the roe I have scraped and plan to cure for tying roe bags spread out, I’ll take either Natural or Orange Fire Cure (my two favourite) and I will coat the whole surface of the roe very sparingly, not overdoing it. My next step is to grab each corner of the paper towel surface and roll all the roe into one pile in the centre of the paper towel. I continue to roll and mix all the roe slowly for a few minutes until the roe is all coated evenly in Fire Cure. Then I spread the roe out one last time to let it air dry for about an hour. Once I have let the roe air dry, I pack the finished product, air sealed, into Ziploc bags and right into the refrigerator. I fill my sandwich sized freezer bags half way up since I like to tie a lot of roe bags at once. I’d rather have extra bait at the end of the day then to be hoping I had more when the bite is hot! If you do not tie a lot of roe bags, fill the Ziploc freezer bags ¼ full. To cure my skeins, I like to use Pink BorX O’ Fire with a little bit of Red Fire Cure mixed into it. To prepare my skeins for the curing process, I tear the membrane in many places to spread out all the egg clusters. Once I have opened up most of the skein with all the eggs intact, I take my mix of BorXO’Fire and Fire Cure and I coat the skein evenly, getting into every crevice in between the eggs and the membrane. When curing your skein, you can be a bit more generous with the product compared to curing loose or scraped roe. I let the skeins air dry slightly longer than I would with scraped or loose roe, then I package the skeins filling up ¾ of a Ziploc freezer bag. The processed skeins get put right into the fridge next to the scraped roe for the curing process. You will start to see the cure working slowly after the first four hours, but I highly suggest letting your roe cure for at least a day or two before baiting your hooks so that it has been cured thoroughly. I have kept cured roe in the fridge for two months until I’ve seen a batch slowly start to spoil, compared to fresh roe which won’t last longer than a week. If you do not plan to use your cured roe within a month’s time, it should go right into the freezer. To get the best results freezing roe, I like to wrap the air sealed freezer bag with a layer or two of paper towel, newspaper or tinfoil, and right into another air sealed Ziploc freezer bag. I can guarantee your roe will be completely free of freezer burn, and when thawed out in the fridge slowly, it will look like it has just been harvested. Monster sized bags have been the ticket for early season salmon. I like to throw huge roe bags because early season fish for the most part are very willing to strike before they get into spawn mode. Pink and chartreuse coloured ‘choker’ bags using size 6-8 hooks on short float to hook leads have brought in good numbers of fresh, aggressive fish the first few weeks of September. Do not be afraid to run huge roe bags even in gin clear water. Even when skein fishing under floats, don’t be afraid to bait a fist-sized glob of skein on your hook! I like to use treble hooks accordingly to the size of the chunks of skein I am casting. To get more life and casts with my skein chunks, I fasten and round up the chunks to the hook using spider thread. There are many ways to cure your roe using various colours of Pautzke’s Fire Cure, BorXO’Fire, and Fire Brine. Curing is all trial and error when it comes to figuring out exactly how you want your eggs to turn out. Start by using your cure of choice sparingly, and if your first batch needs better consistency, you’ll know exactly how much to use the next time around. Don’t be shy to experiment with all of Pautzke’s curing products if you have enough eggs to work with. 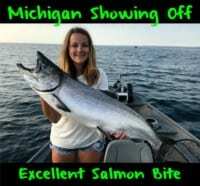 Once you have figured out how to properly cure and store your roe, you’ll have much more success on the water you fish. Editor’s Note: Pautzke pro Bojangles resides in the GTA on Lake Ontario’s North Shore. He eats, sleeps and breaths fishing.